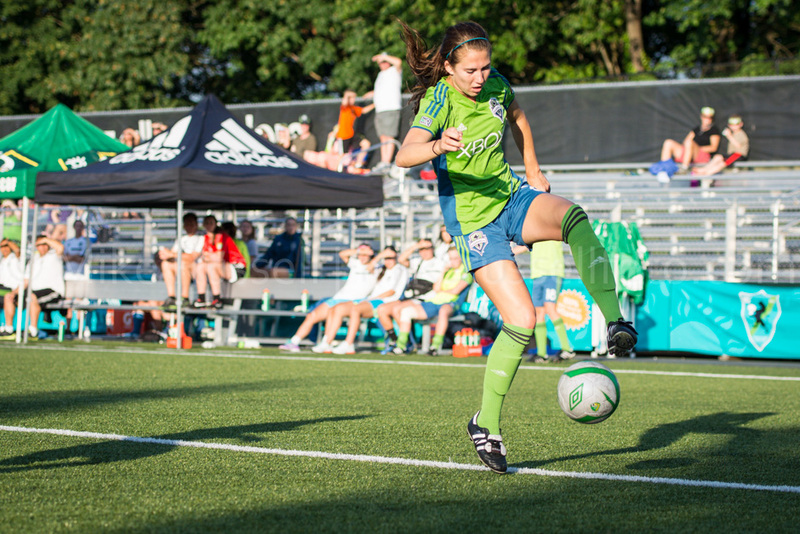 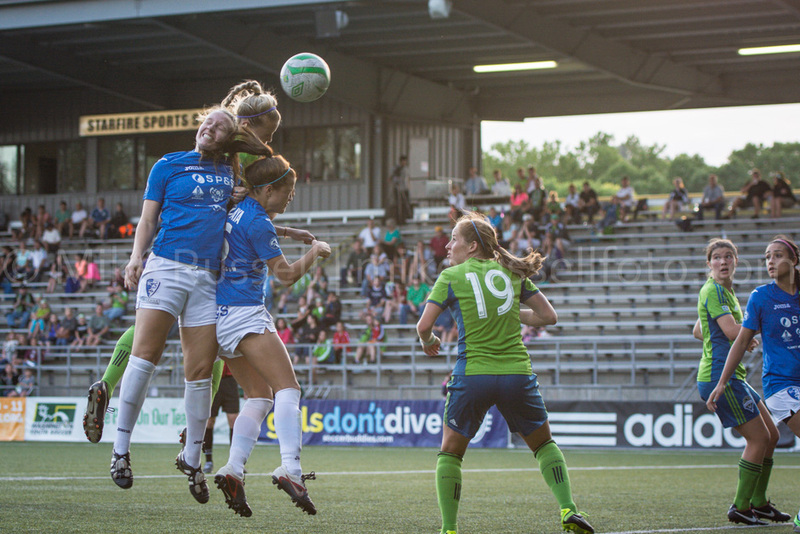 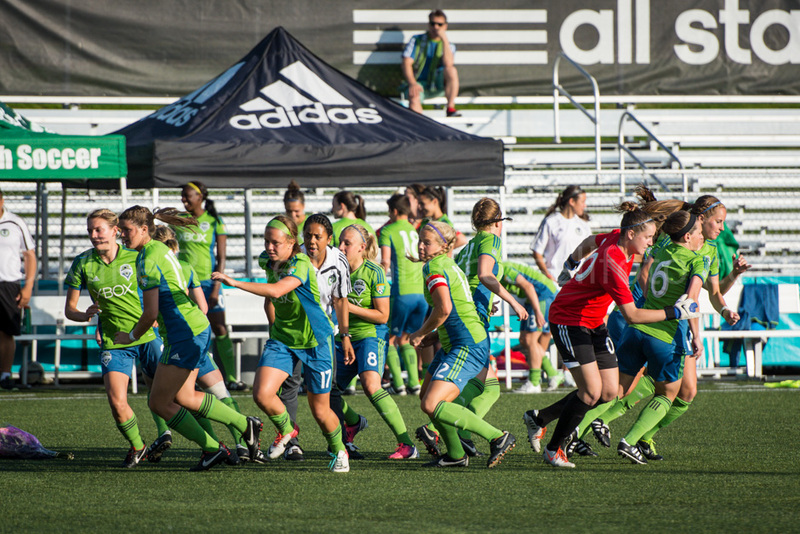 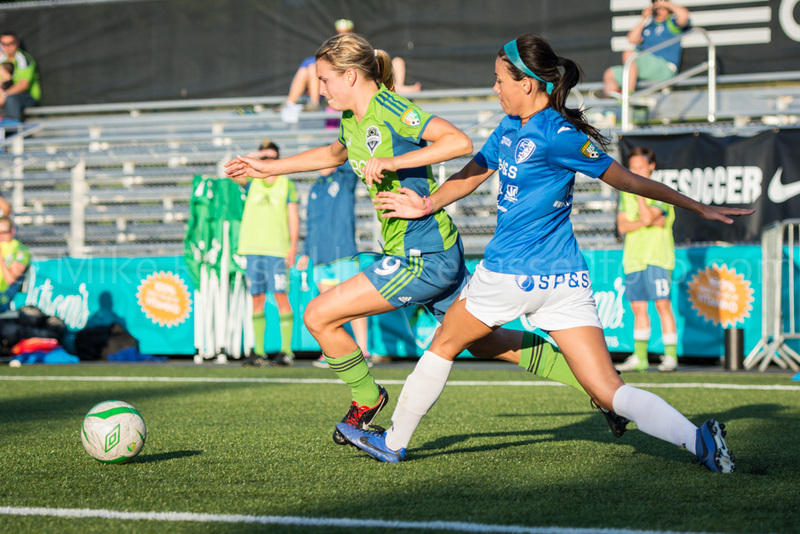 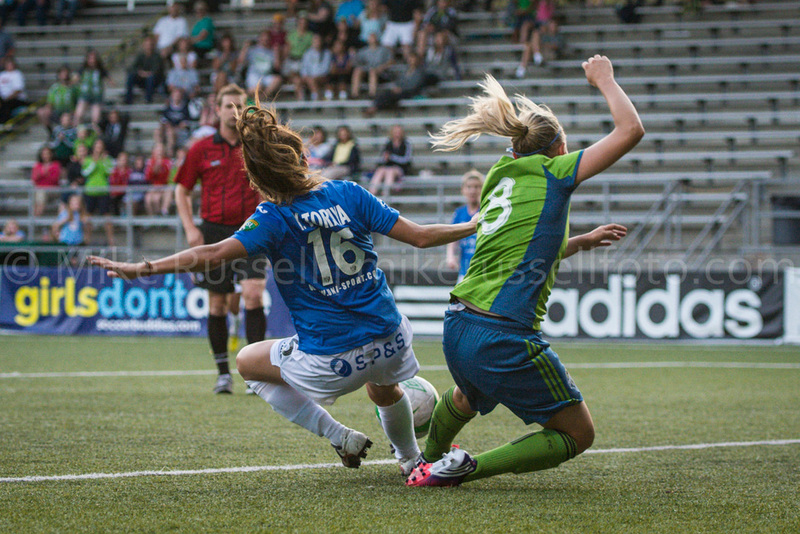 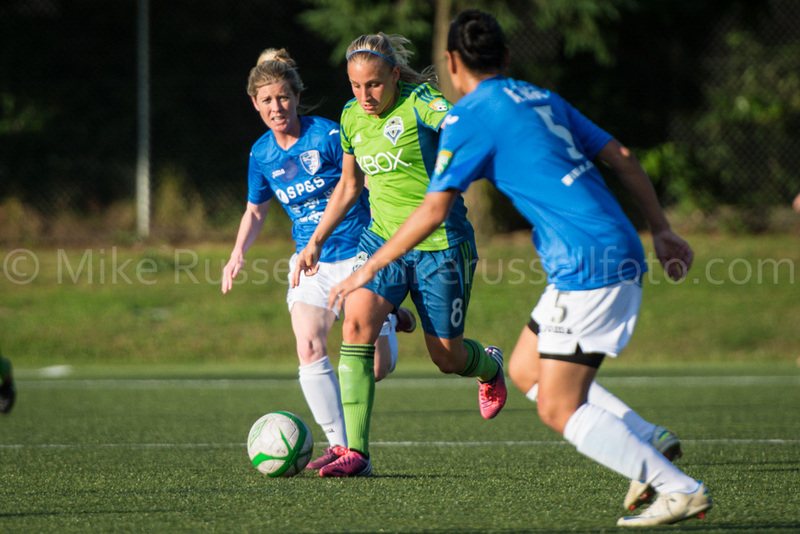 On Friday night, in their last home match of the regular season the Sounders Women gave up two early goals to Santa Clarita Blue Heat. 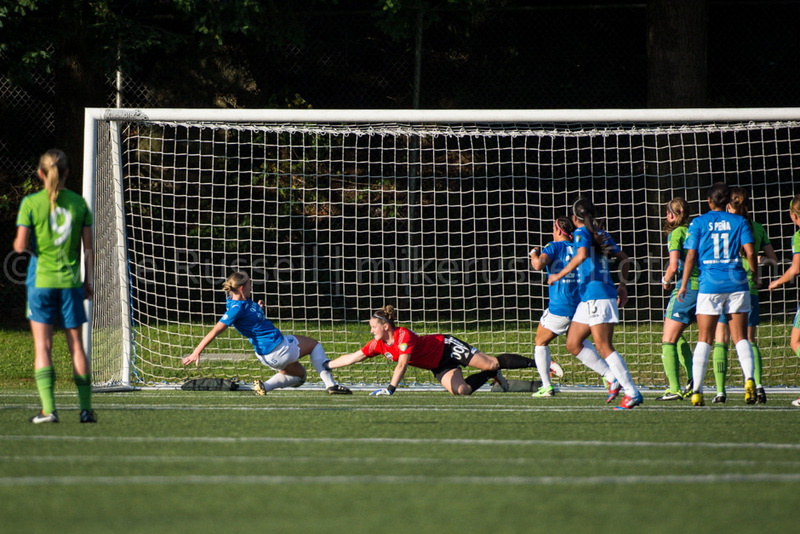 But just before halftime they pulled one back with a goal by Annie Sittauer in first half stoppage time. 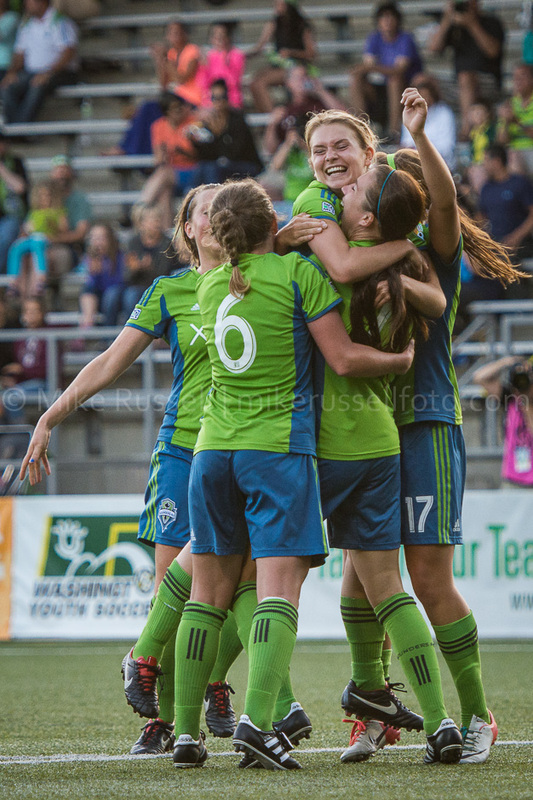 In the 52nd minute, Jenna Richardson bent one into the far post to even the score at 2-2. 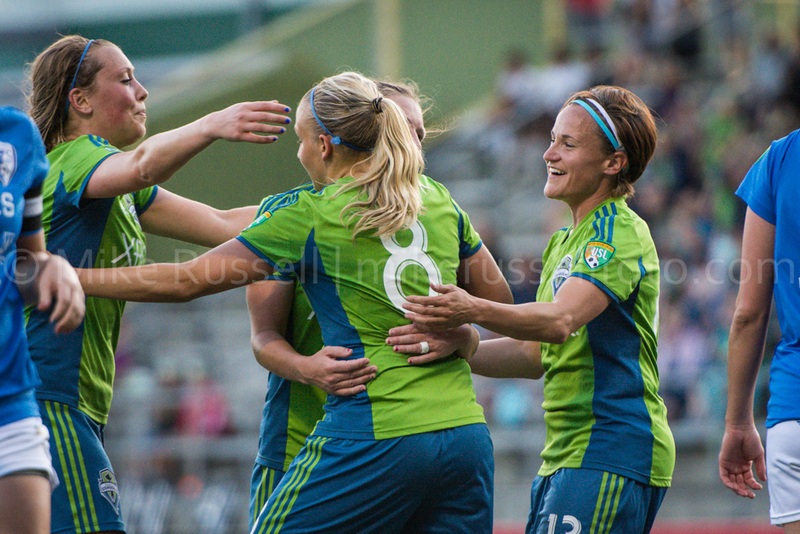 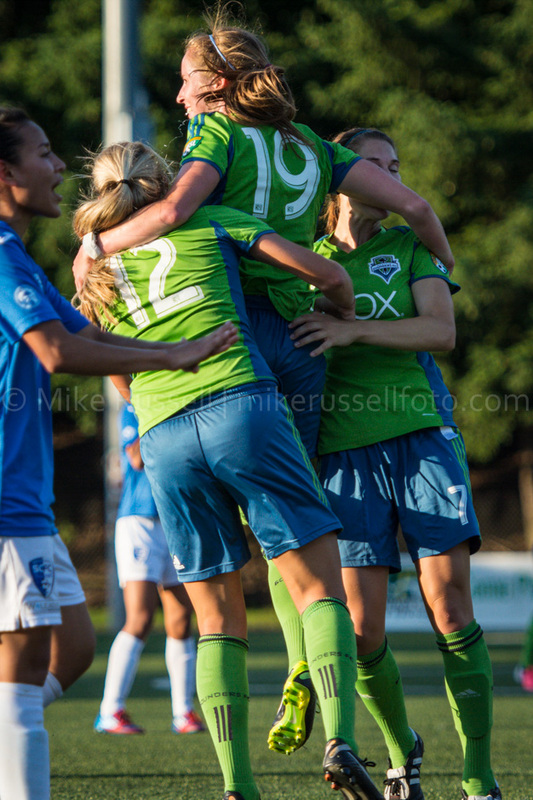 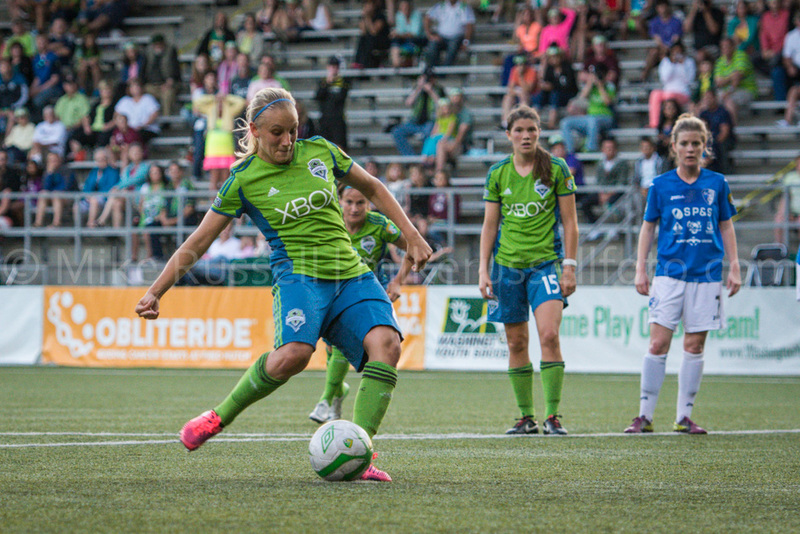 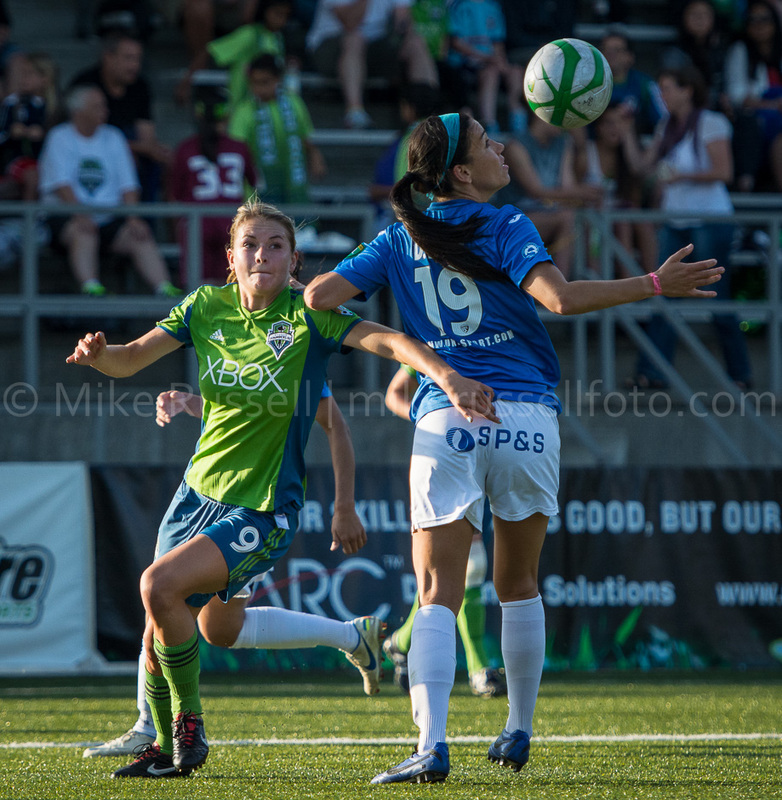 The game winner came in the 69th minute when Melissa Busque scored from the penalty spot. 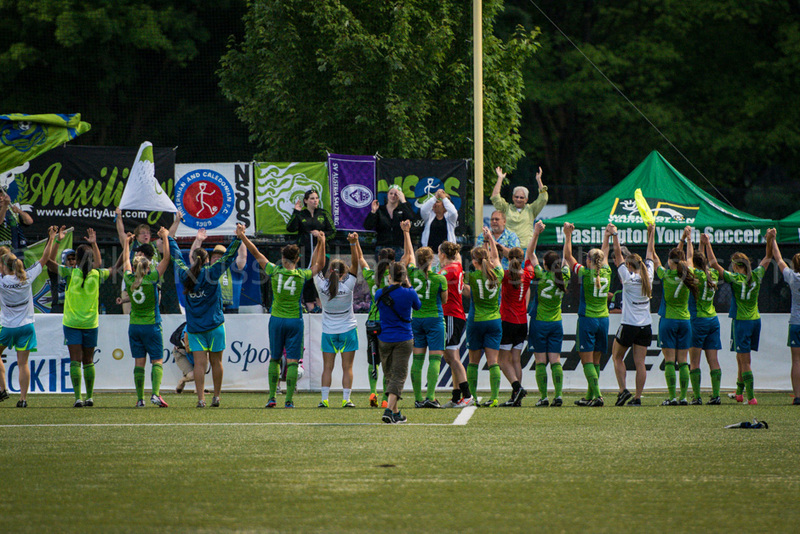 After the match the team gathered around to thank the fans for their support throughout the season. 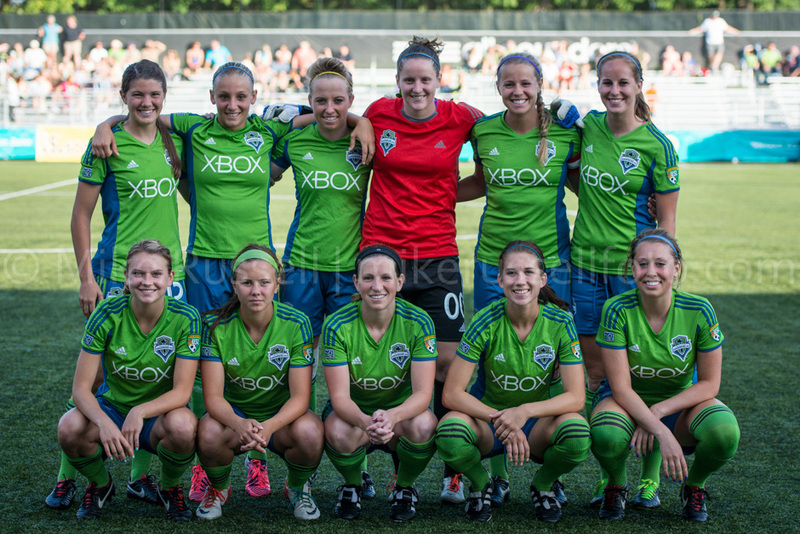 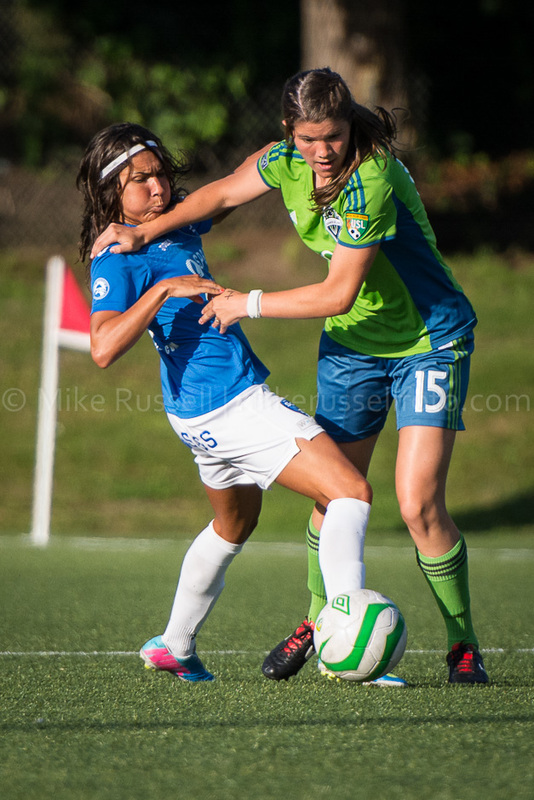 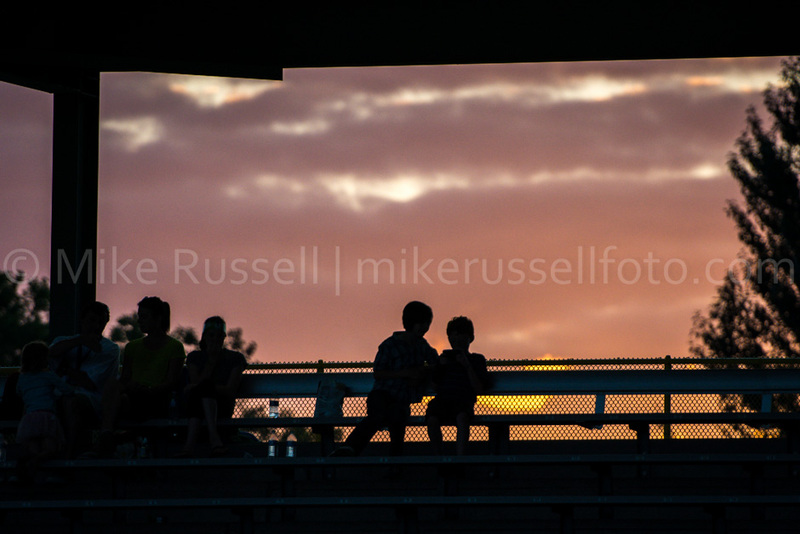 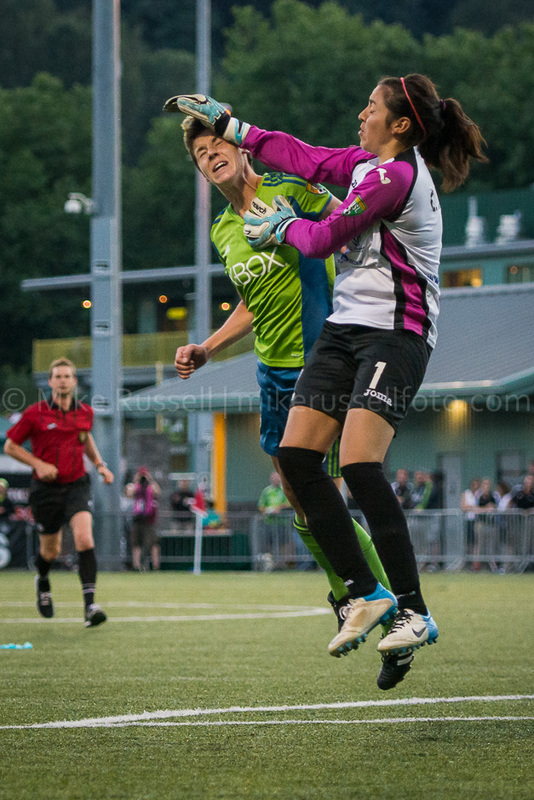 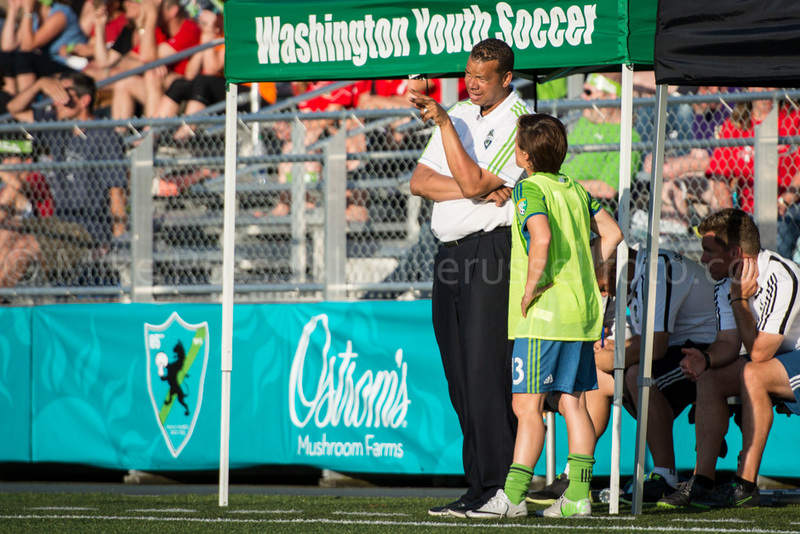 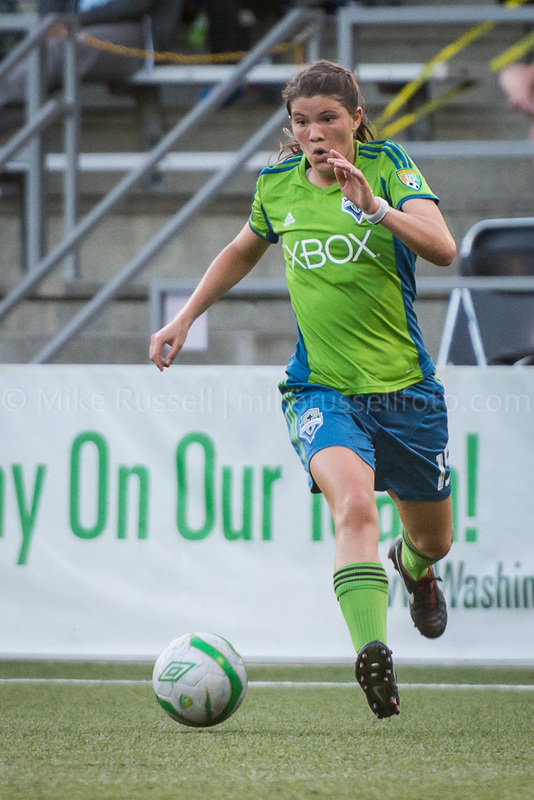 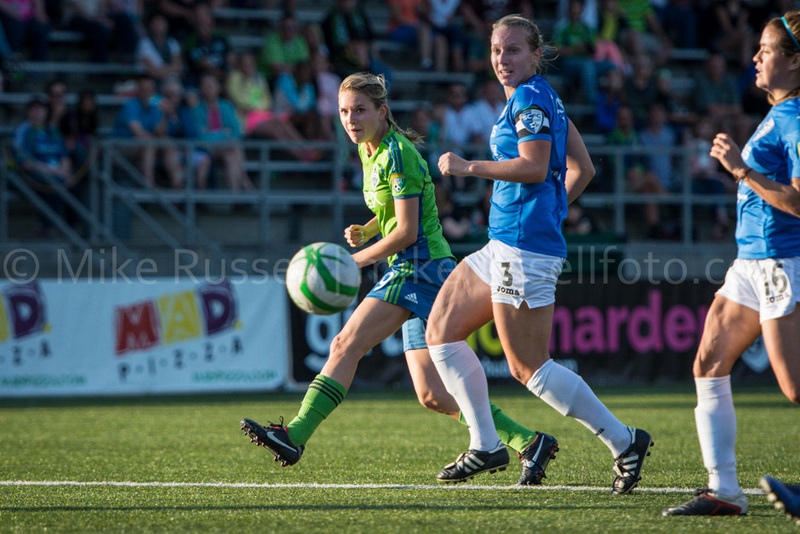 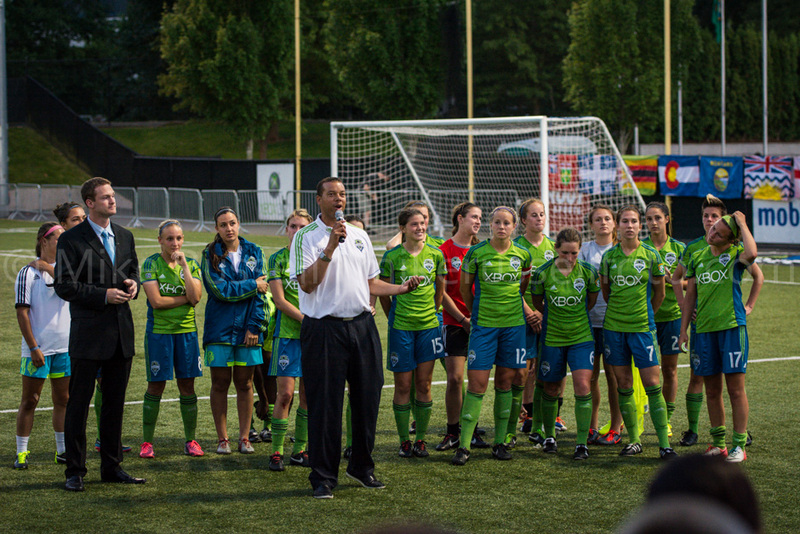 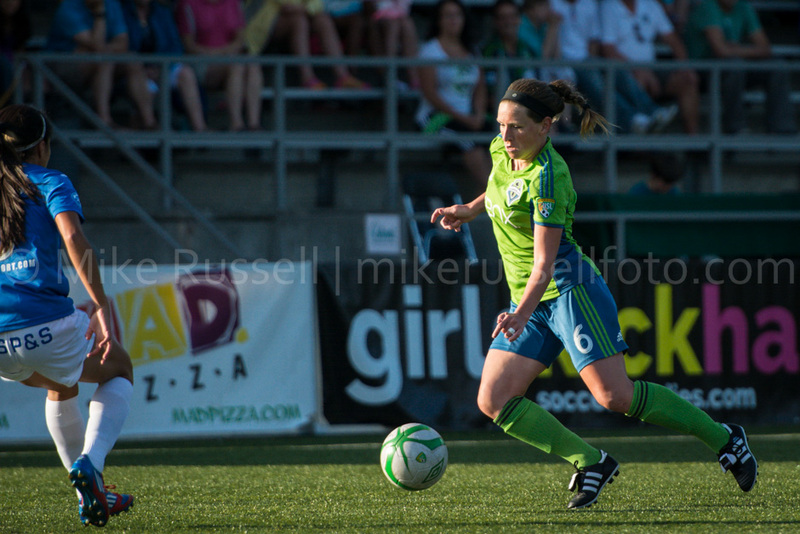 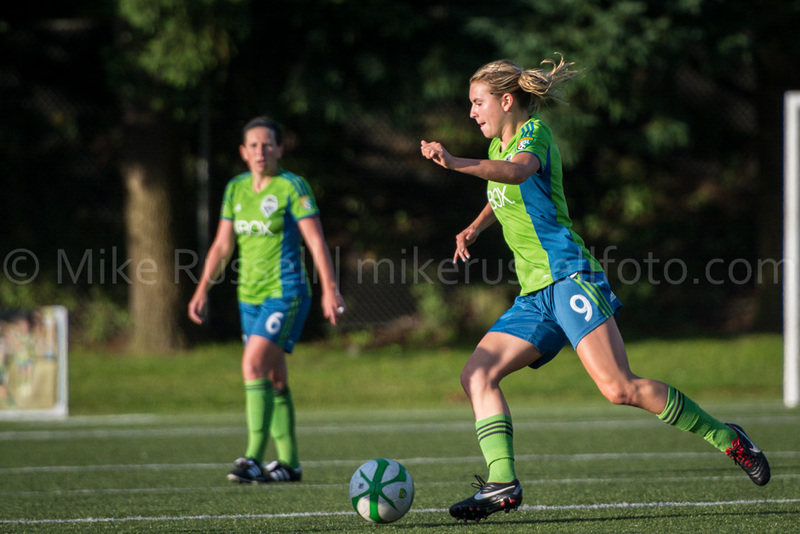 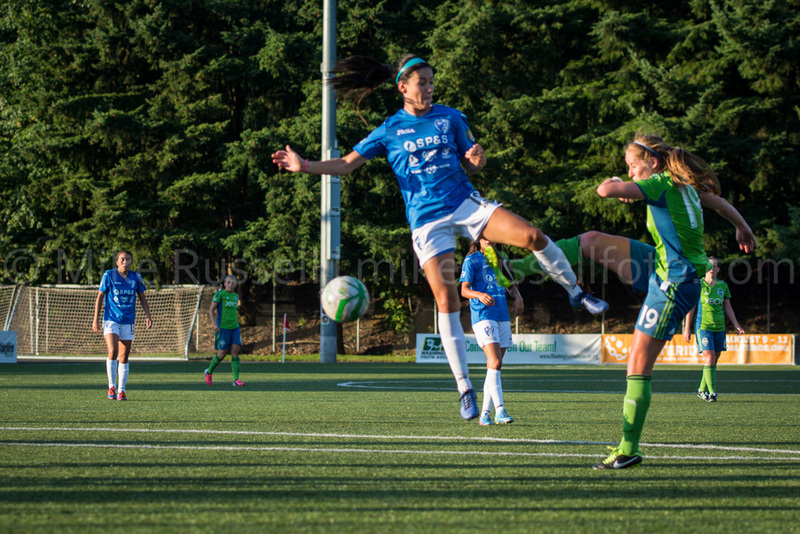 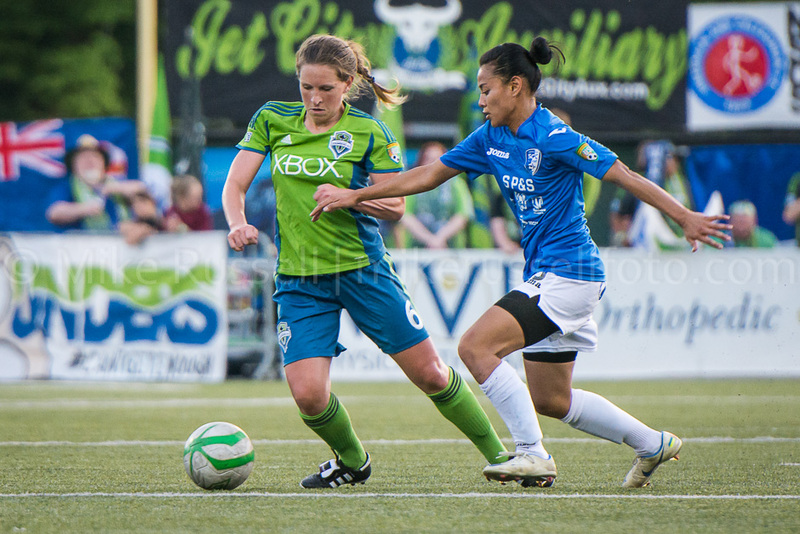 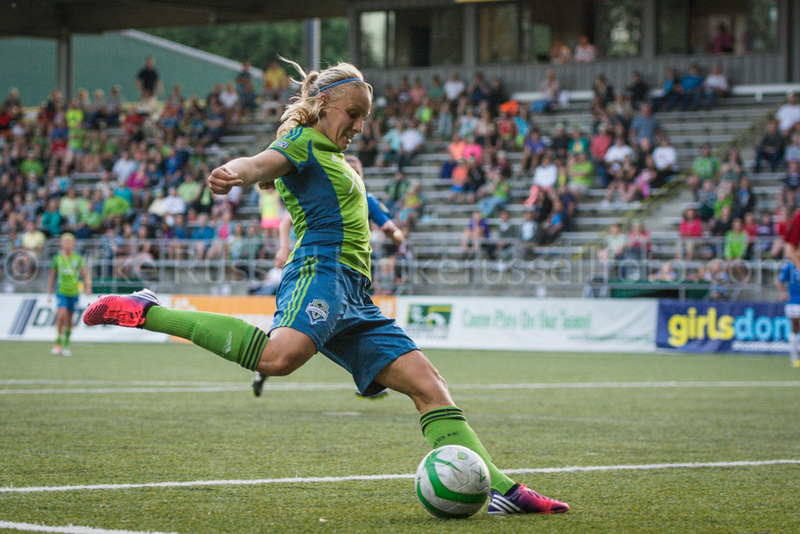 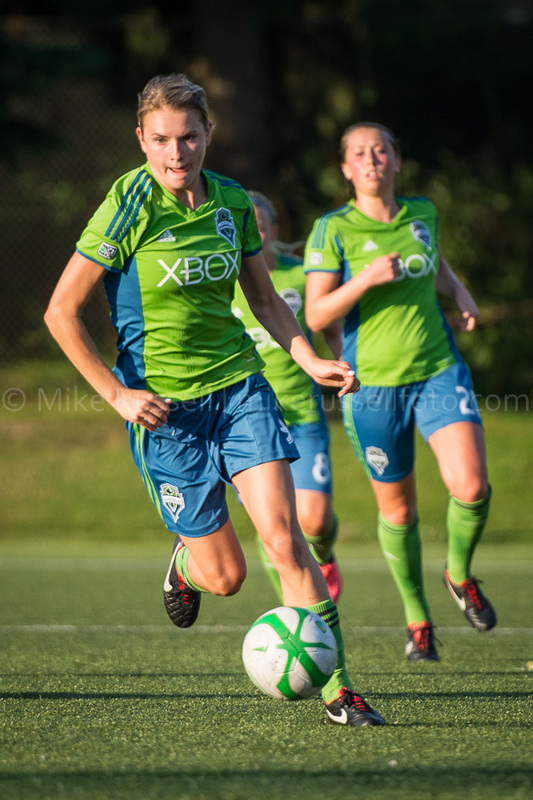 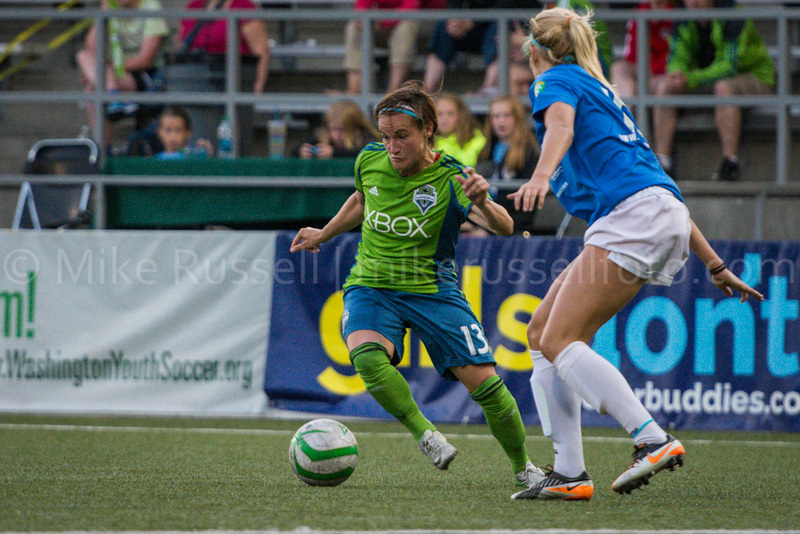 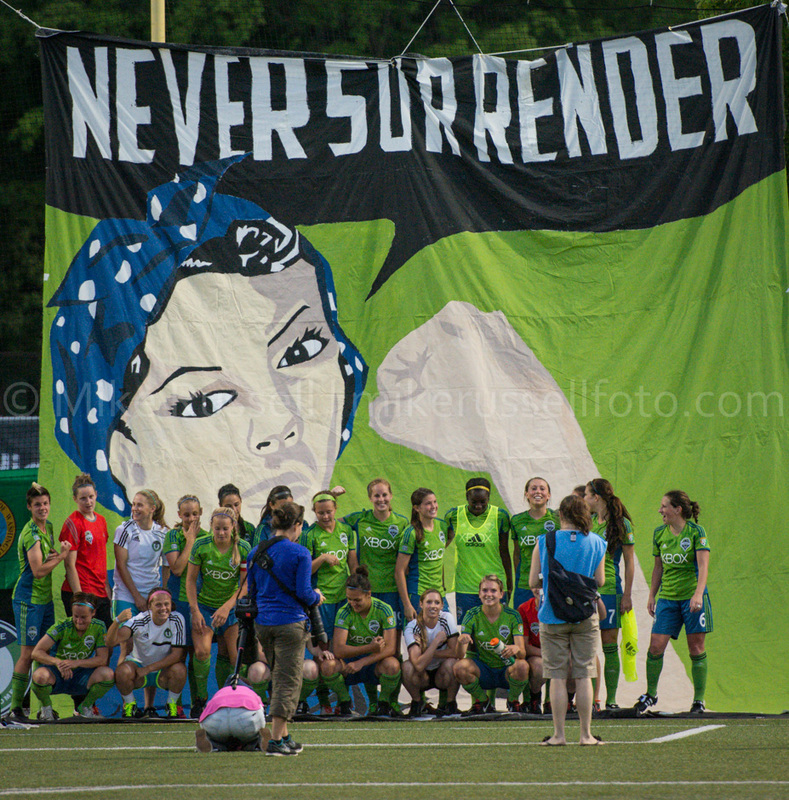 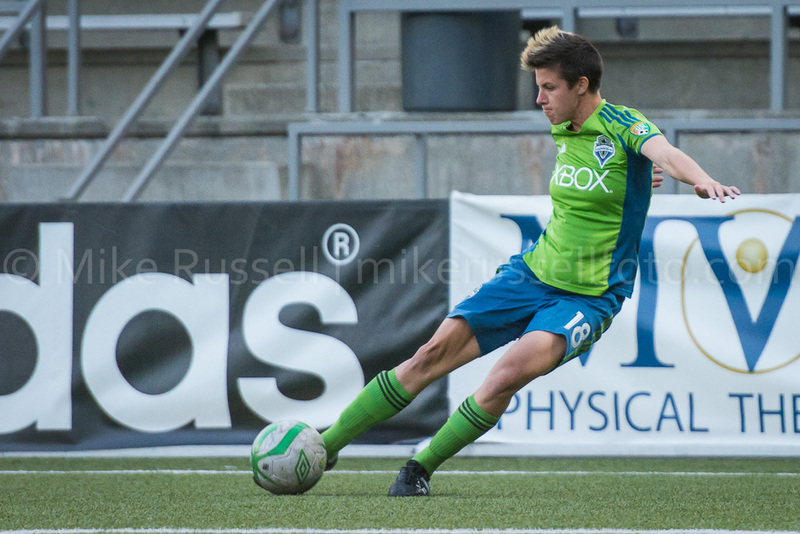 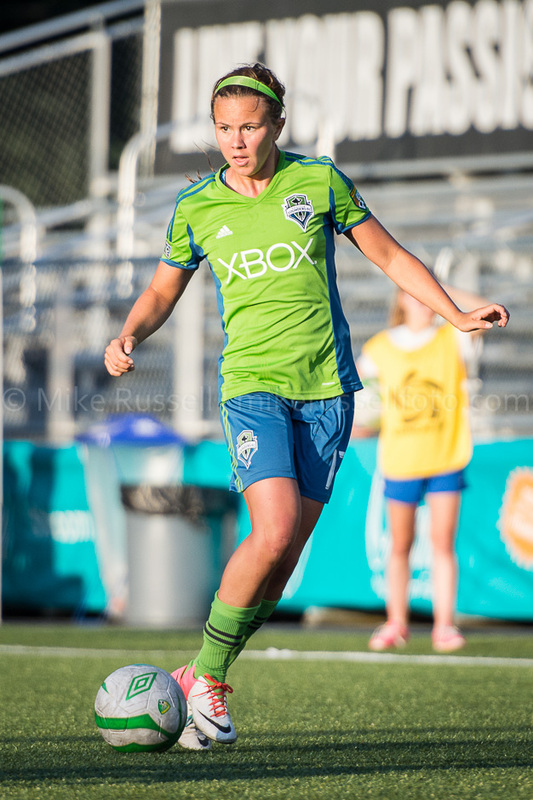 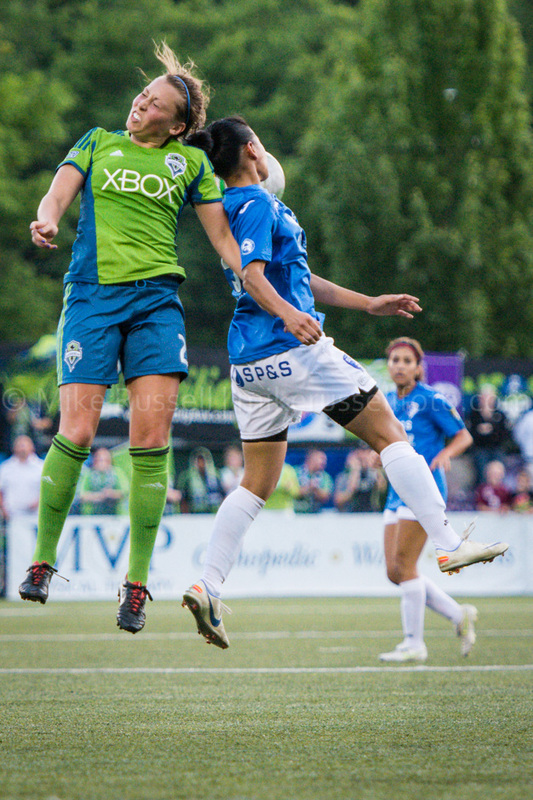 Mike Russell, mikerussellfoto.com, photo, photography, Santa Clarita Blue Heat, seattle, soccer, Sounders Women, sports, sports photography, Starfire, W-League.